With so many security systems out in the market today, you might find it a tad difficult to find one that is really suitable for your needs. Which one should you choose for your needs. Here are some tips on how to find the best security camera. 1. Get to know the various types of security systems available today. The terms security and surveillance cameras are very broad. If you look them up on the internet, you will be provided with a myriad of product options. With such vast options, you might feel overwhelmed. You would want to narrow down your options by knowing which ones are available today. What are you current options. The basic types are the wired and the wireless systems. From there, a myriad of other options branch out. For wired systems, you might be presented with dome cameras mounted on the ceiling or wall mounted systems. Wireless cameras range from your run of the mill camera mounted on walls or disguised micro cameras that can be placed in stuffed toys or gadgets you have at home. Go over the pros and cons of each camera. This will make it easier for you to choose one that is most suitable for your needs. 2. Jot down your alarm equipment requirements. So you need a security camera. But what functions are you looking to get out of a camera. Make sure what you buy will really suit your security preferences. Get a piece of paper and jot down your security requirements. You would also want to jot down where you are going to place it. Also jot down your issues if you have some that you are trying to address. Many people have installation issues or they might consider hooking up the devices challenging. In such cases, they can go for cameras that are easier to install such as DIY cameras. Once you have listed down your requirements, you can head to the store with a better understanding of what you are going to purchase. Talk to the sales person about your requirements so they can present you with plausible options. Now go over the benefits and advantages of each kind of camera so you can choose better. 3. Look for a complete system. Alarm equipment comes in sets. They are complete with mounting devices, cameras, software and cables. If you are buying it new, look for those expandable surveillance systems. In case you need to hook up more cameras, you can easily integrate additional cameras to your existing surveillance system. If you are buying used surveillance systems, make sure everything from the original package or set is included in your purchase. You would not want to have a hard time finding parts of the set as sometimes accessories are not available individually. 4. Think about the possibility of incorporating digital video recorder DVR. Not all security systems have digital video recorder DVR. 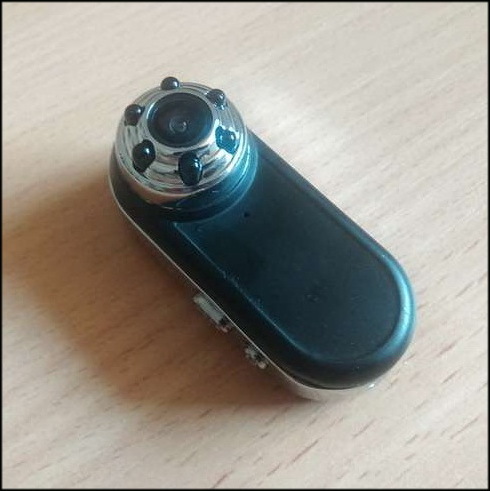 This is actually beneficial because it can be used to capture video footages to catch thieves or burglars. These videos can also be used as evidences. You can rewind or forward video footages with a Digital video recorder DVR. 5. Always look for a durable camera. You would want to keep your gadgets safe from extreme weather conditions, moisture, heat or dust. But there are cameras that are inherently resistant to these external elements. Search for those cameras that can last longer than expected. If you treasured this article and you also would like to collect more info pertaining to mikro kamere i implore you to visit the web site. 6. Get to know the specs of the camera. Find out how capable it is by checking out video footage. You might also want to get additional features such as those you can find in IP cameras. These cameras can be accessed remotely provided that they are hooked up to an IP address. Check out the specifications of each camera and do a quick comparison. Search for those with a good focal range or resolution and those with high sensitivity. 7. Opt for those with night vision or infrared features. Make sure the camera you are using has night vision features. This will make it easier to keep track of thieves even when it is pitch black outside.